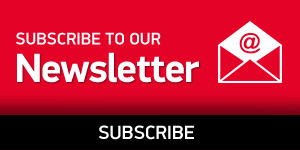 Highlighting the benefits that can be achieved by using Molded-Oil bearings from NSK, a British snack food manufacturing plant is saving more than €52,000 a year after replacing the existing bearings in a seven-track conveyor system. It is well established that the frequent cleaning cycles of machines in the food processing industry curtail the life of standard bearings. Under these harsh conditions, NSK’s Molded-Oil bearings are a more suitable choice as they prevent the penetration of water and contamination. 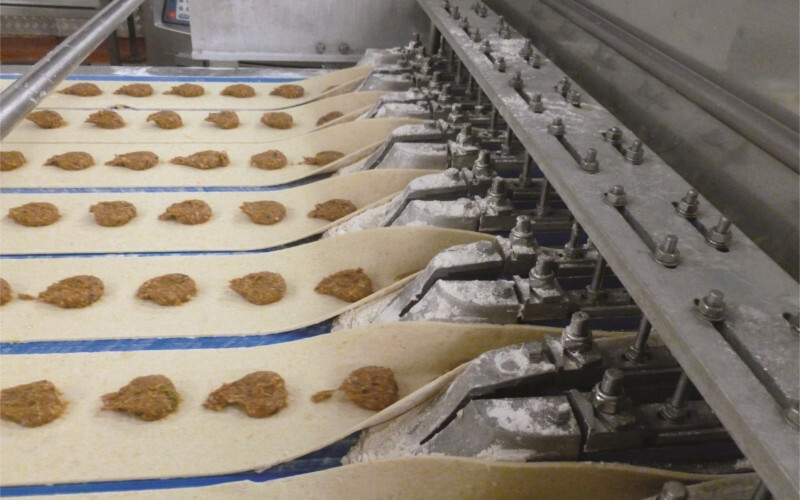 Able to testify to the advantages on offer is a British snack food plant that has tripled the service life of its conveyor bearings. The standard deep groove ball bearings in a seven-track conveyor system were lasting for only four months due to water that had seeped into the bearings during daily washouts. These bearing failures were resulting in costly maintenance work and damage to ancillary equipment, including conveyor belts. 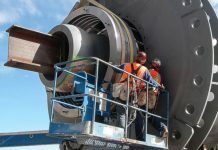 For each bearing replacement, production downtime of 14 hours had to be scheduled, with two technicians occupied for 12 hours each to perform the necessary removal and installation. 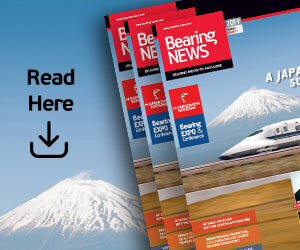 Three times a year, a total of 84 bearings required replacement, which generated considerable maintenance costs and provoked excessively long and frequent machine downtime. The snack food plant duly asked NSK to inspect the bearings and environmental operating conditions. As part of NSK’s AIP (Added Value Programme), a thorough application review and failed bearing analysis were performed by company engineers that confirmed water ingress as the cause of the premature bearing failures. 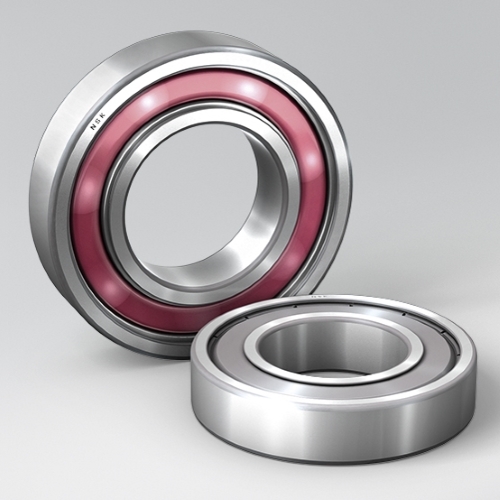 A recommendation was subsequently made to replace the bearings with Molded-Oil lubricated bearings manufactured from stainless steel, featuring DU seals on both sides. 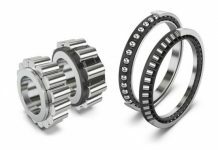 These bearings are ideally suited to applications which are in frequent and heavy contact with water. 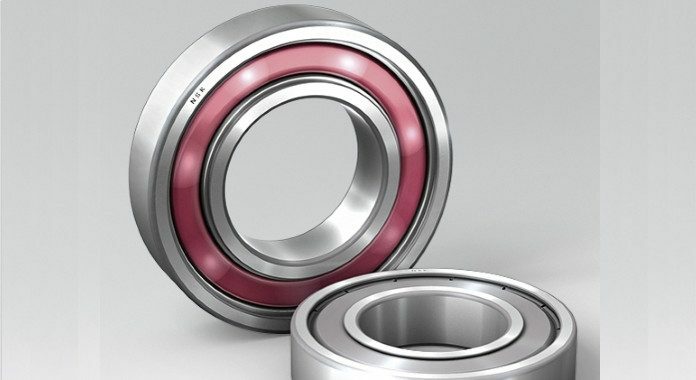 Importantly, the lubricant within Molded-Oil bearings is durably incorporated inside a stable carrier medium, namely an oil-impregnated polyofin resin. 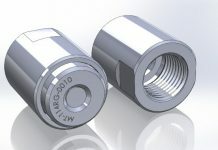 This type of lubricant cannot be washed away by steam or liquids, and prevents contamination from entering the bearing. Moreover, as the carrier only releases the lubricant slowly, sufficient lubrication is maintained over a long operating period. A further benefit is that the operating environment remains clean as no grease can leak out and no oil refilling is needed. The highly efficient DU seals on each side also play a part in prolonging the service life of the bearings under harsh conditions. As a result of the change, the operating life of the conveyor bearings has tripled, rising from 3 to 12 months. In turn, maintenance costs relating to the bearings, including system downtime, have been reduced by €52,203 euros per year. This yet again confirms one of NSK’s “rules of thumb”: in applications where the environment is contaminated by moisture and dust, the service life of Molded-Oil bearings in stainless steel is more than twice that of bearings with conventional grease lubrication.